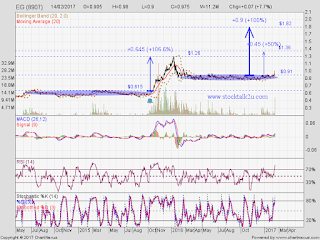 Immediate resistance @ RM1.26 level. Immediate support @ RM0.91 level. Subsequent support @ RM0.815 level. 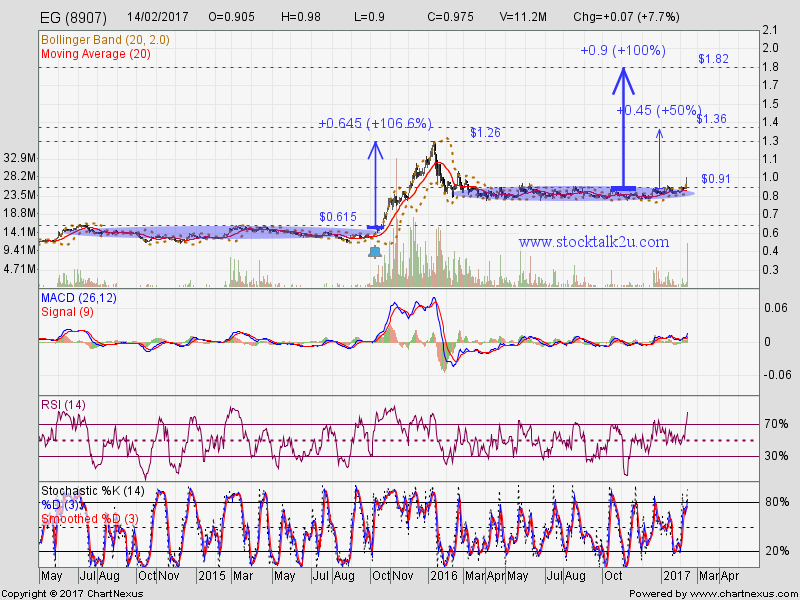 If this round EG hit 50%, the share price will go to RM1.36 level. This projection is purely based on Technical Analysis, pls refer our DISCLAIMER.